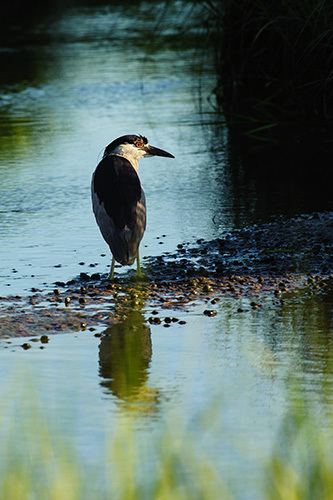 The Black Crowned Night Heron is widely known as the worlds most widespread heron. Their presence marks the beginning of spring which is my favorite season. I can't wait to start spotting them. 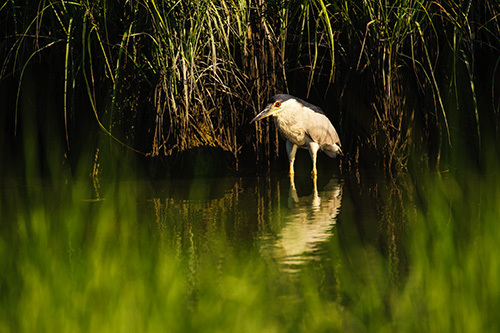 Their habitat is the salt marshes I visit on Long Island. While some people have seen them in fresh water ponds and lakes, I have not spotted any in fresh water. One of the interesting things about this species is the vast differences between immature and mature birds. The image above is that of a very young bird. 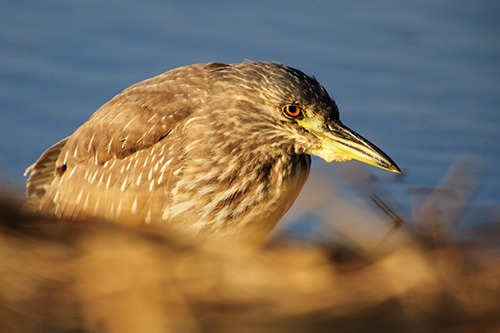 The one directly below is of a more mature bird but not yet an adult. 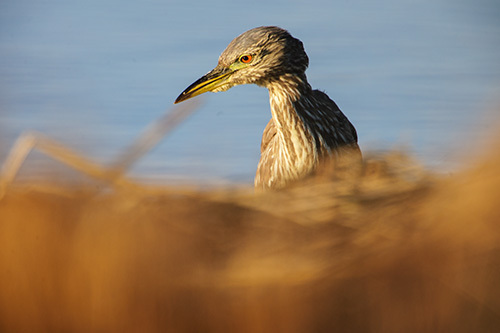 The adults tend to hide and use the marsh as camouflage. You can clearly see in these two images the differences between these mature birds and the above immatures. Everything from their eyes down to all of their feathers is different. As I said before vast differences. There is almost a human aspect of these birds. I love to sit in the car and watch them. They are so patient, I have seen them sit motionless for over 30 minutes waiting for a fish to come swim by their quick beaks! Terrific post! Wonderful photographs! I'm looking forward to seeing these cool birds too. Great photos and text. We saw our first one ever on Sanibel Island a few weeks ago. Great post and stunning photos! I love these birds too...great post! Interesting post and great shots!